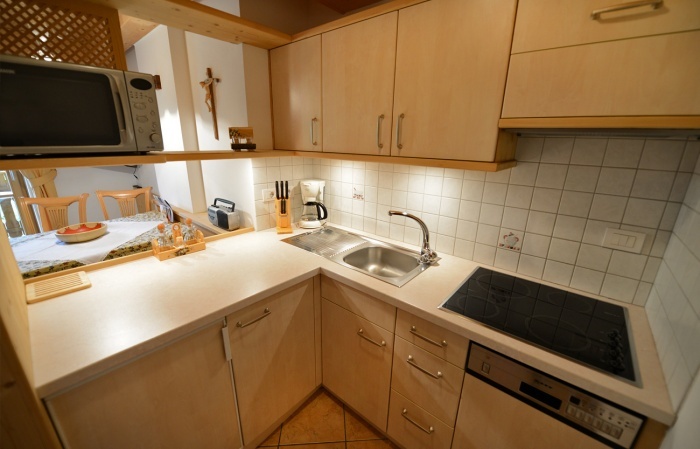 The apartment A (about 50 m²) is situated on 2 floors and is composed by a living room with a pull-out couch (1,90mx2m) and satellite LCD TV; kitchenette with a ceramic cooking hob and a bathroom with a toilet and a shower in the lower floor. 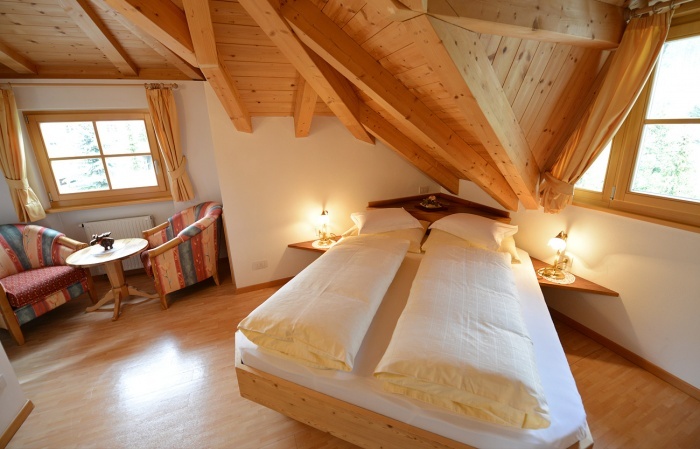 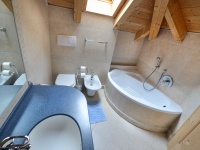 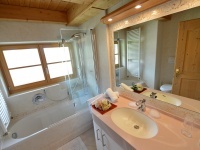 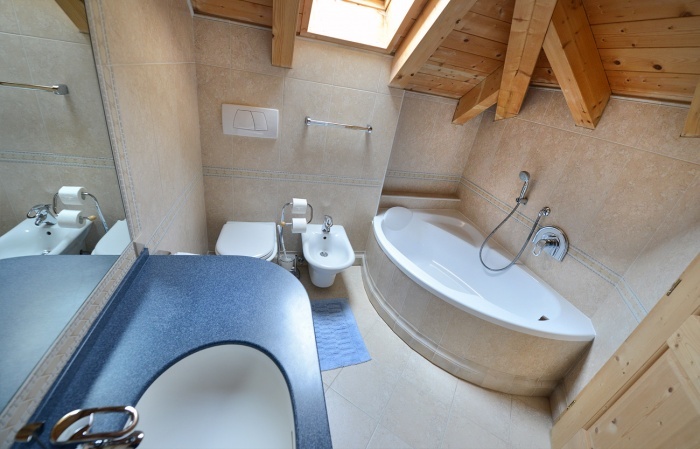 In the upper floor there is a double bed-bedroom with TV and a bathroom with a toilet and a bath. 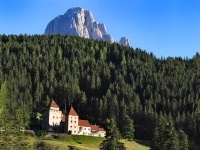 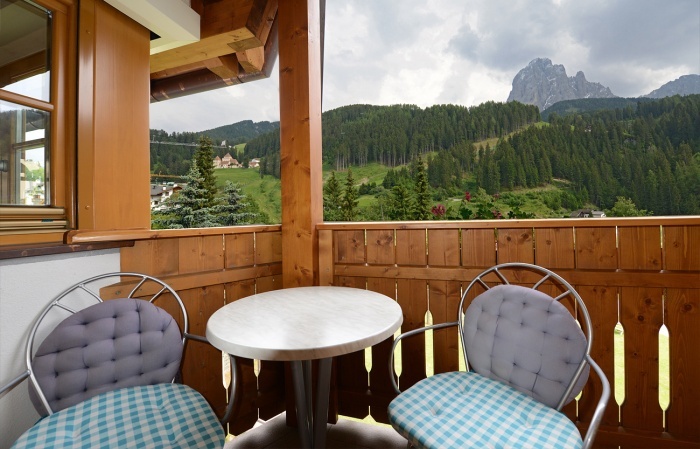 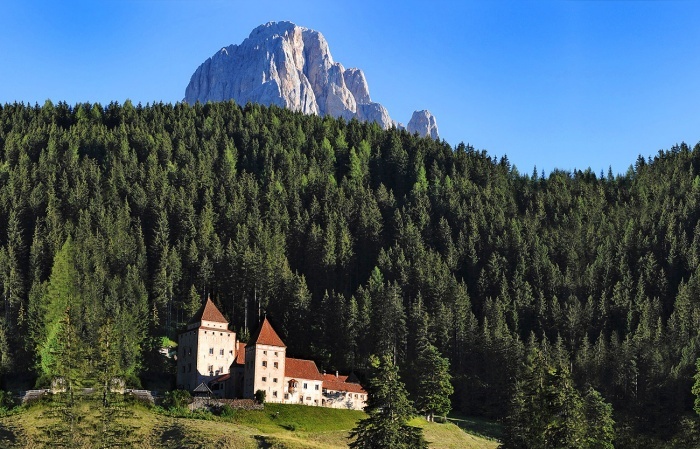 Every day You can enjoy the wonderful view of the Dolomites from the balcony of the apartments. 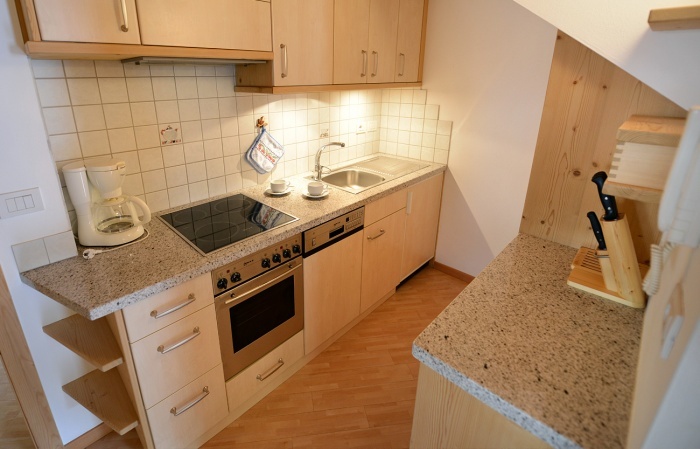 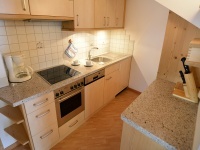 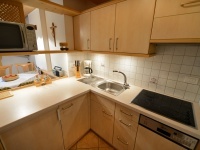 The apartment B (about 50 m²) consists of a bedroom with 3 beds ; a living room with a pull-out couch (1,90mx2m); kitchenette and a bathroom with toilet and bath. 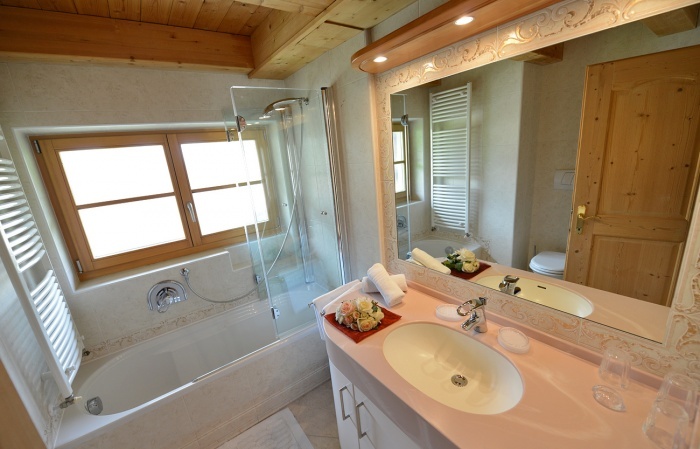 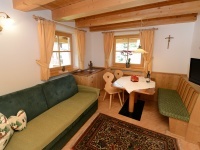 The house is situated in the centre of S. Cristina, in a very quiet position near the ski school, the children's playground and the stage of organization in the Centre Iman, where folcloristic arrangements take place (in summer). 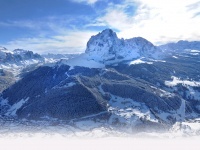 You can reach the ski lifts in 5 minutes by foot. 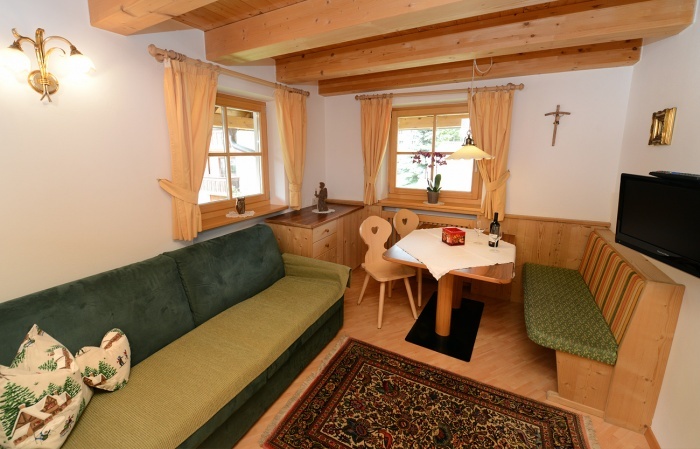 Restaurants, shops, skihire, skipass office and the bus stop are in immediate vicinity.